If you know a boy who’s forever getting his shoes dirty, then investing in a quality pair of boys’ wellies will surely prove worthwhile. Boys’ wellington boots come in a raft of designs, sizes and shapes, and they’re always a useful footwear choice to have around the house. 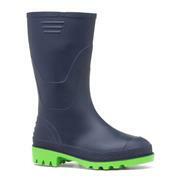 After all, you never know when your little boy will want to go stamping through mud and puddles! Among our selection there are wellingtons in bright colours, as well as some featuring his favourite dinosaurs and Paw Patrol pups. You’ll also find plainer styles, suitable for older boys who’d prefer something a little less showy, as well as top welly brands, such as Dunlop and Wellygogs. With thick, rubber soles, each pair of these kids' wellington boots is sure to handle even the most challenging terrain with aplomb! 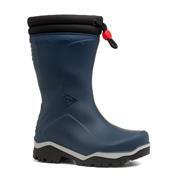 And like all our boys' shoes, our wellies for boys come at reasonable prices, without skimping on quality. 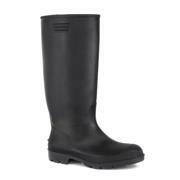 Your welly boot delivery doesn't cost any extra, as we can ship to your home for free. 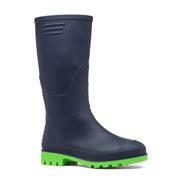 So, if he needs a pair of boys’ rain boots to keep his feet clean and dry you can shop with confidence online. 18 products from £7.99 to £22.99.